Cape Town – President Jacob Zuma has directed those working on a plan to provide free university education to ensure it is implemented in a fiscally sustainable manner, National Treasury said on Saturday. It was responding to the announcement on Friday that S&P Global Ratings had cut South Africa’s local-currency debt score to junk, while Moody’s Investors Services threatened to slash its ranking to the same level, raising the risk of a selloff from global indexes. In its reasons for downgrading its rating, S&P said there had been a further deterioration of South Africa's economic outlook and its public finances. In its response to the topic of education, Treasury said that measures are being considered to improve access to higher education for all deserving students. “The president has directed that these be implemented in a fiscally sustainable manner,” Treasury said in a statement. “Given the nation’s financial constraints, this necessarily implies a phased approach focusing on the neediest students. The Heher Commission into the Feasibility of Fee-Free Higher Education and Training has found that there is currently no capacity for the state to provide free tertiary education to all students in the country. The report was released by Zuma in November. 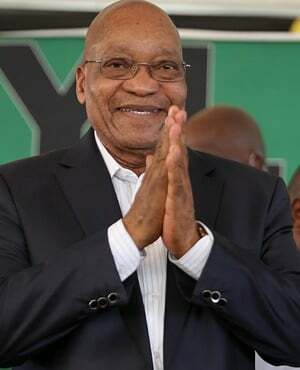 However, City Press reported that Zuma is determined to announce no fees for students, even if it is for only one year. Government officials estimate that R40bn would be needed each year to cover students’ tuition fees alone. In its review on Friday, S&P said that there is little evidence that the stated commitment to raising equality is supported by the ambitious reforms to education. “According to the UN University's World Income Inequality Database, income inequality (measured by the Gini coefficient) in South Africa is the highest of all economies for which data is available,” it said. “Indeed, we believe inequality is elevated enough to pose an impediment to fiscal consolidation. World Bank data suggests that inequality has risen further in South Africa since the turn of the century. “This contrasts with traditionally unequal societies in Latin America (e.g. Brazil, Colombia, and Panama), where income distribution has improved during the same period. This is the case despite the progress made by South African authorities in eradicating extreme hunger and poverty over the last two decades. Shortfalls in basic services and infrastructure remain in some parts of the country. In its announcement on Friday, Moody’s said that low investment will limit South Africa's growth over the medium-term.